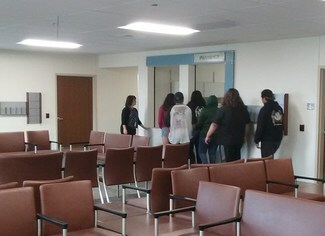 On Friday, March 16, 2018, Students from San Pasqual High School were presented a walk through of the new Fort Yuma Health Care Center before it opens. Although the clinic is still under construction, there were plenty of areas that are near completion. The students accompanied by Ms Clivia Cyndee Miller, Program Manager of the Picacho Project, got a tour of the new facility by Ms. Cindy Baldwin, CEO Fort Yuma Service Unit at Indian Health Service. 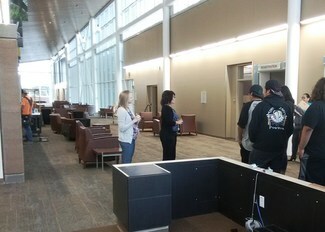 They got a close up look at all the areas within the new clinic from the Registration area and main waiting room to the behind the scenes administration offices. After the tour both Ms. Baldwin and Dr. Amber Mc Cuscker from IHS Clinic Fort Yuma answered questions from the students. Additional photos of the walk thru can been seen here.